Andrew Dominik | Reserve Result. 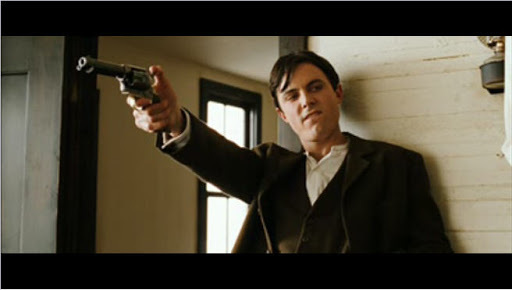 The Assassination of Jesse James by the Coward Robert Ford is based on Ron Hansen’s novel. Synopsis: An action western surrounding the private life and public exploits of America’s most notorious outlaw, Jesse James. As the charismatic and unpredictable outlaw plans his next great robbery, he wages war on his enemies, who are trying to collect the reward money–and the glory–that is riding on his capture. However, the greatest threat to Jesse’s life may ultimately come from those he trusts the most. Starring: Brad Pitt, Casey Affleck, Sam Shepard, Mary-Louise Parker and Jeremy Renner.